"Empowering You - Group Calls Series 1"
Through a variety of extraordinary sessions, Sandra can help you discover past lives, aid you in realizing your soul’s purpose and teach you about the importance of breath. She can help bring closure and healing with the loss of a loved one. These are just a few examples. Every session is unique to each soul and amazing things can transpire with so many possibilities. As you will learn, Sandra on our calls on Transformation To Joy Global Telesummit with Shashi Langham, teaches us how to let go of our expectations, about Accepting, Trusting and Believing. 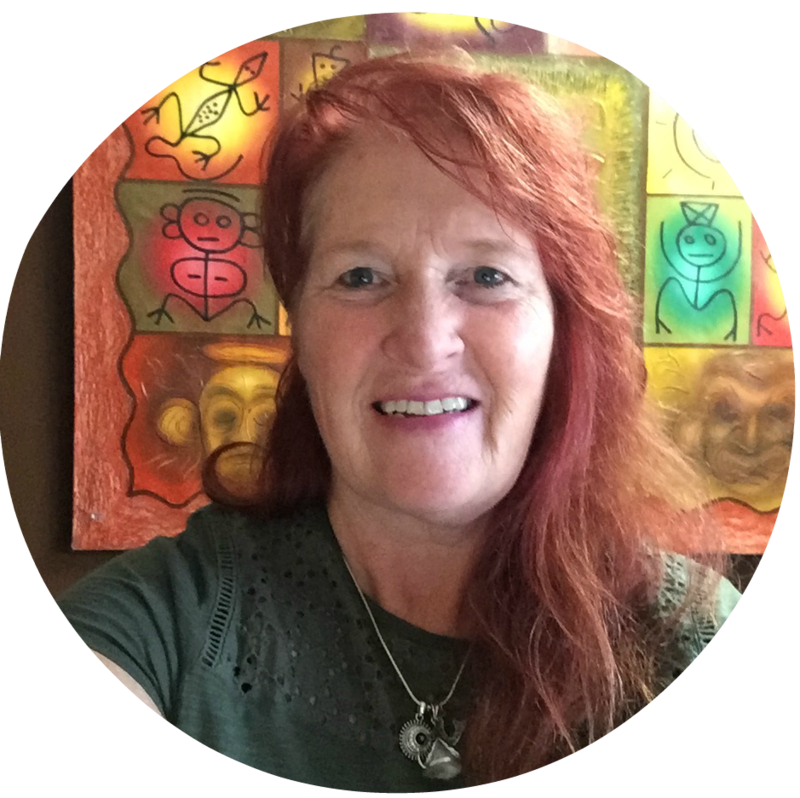 Sandra is an intuitive healer and a shamanic practitioner. Sandra's ability to draw out what is needed, at a time that you are ready for it, leads to a new path of possibilities for each caller she works with. In her healing, she extends this healing to our animal companions. Sandra Pelley has been fully immersed in her spiritual path for the past two decades - without even realizing it. In 2015 things changed and she stepped more fully into her soul’s purpose. Since then Sandra has created powerful soul readings, worked with healing the triggers of the pain body and has become the author of her first book, A Spiritual How-To which she is giving you, as a bonus for getting her Package A - see below for more details. Sandra has created a Package of Group and One-to-One just for Transformation To Joy Global Telesummit listeners - this is her Empowered You - Live Group Series 1 which was launched in October 2018. On this page she bring you her Empowered You - Live Group Series 2 - all new for January 2019 and can be purchased here. The call was great. I am still feeling energies from the call. It was one of the greatest experiences of my life. I seldom feel energy so well and I was able to see images of what was happening as Sandra was directing the activation. I saw the rock from my previous life and could feel the sun warming me. I also saw my aura in the shape of a golden egg with additional colors swirling around the aura. It was wonderful!" Group call 1 – Self Love and Mantras – Step into the wonder of you. Learn how to breathe life into your existence. Feel how incredible it is to show your self love. There is real wonder when you feel how much your soul enjoys and responds. How often do you tell those around you how much you care? How often do you tell your self you love you? Learning How to Love Yourself – A life changing call, bring a box of Kleenex and a glass of water. Monday Nov. 5th, 2018 call recording. Group Call 2 – The Power of Words – What are your power words? What words are keeping you from moving forward? Join me as I guide you into a new way of speaking that will change your life. What are you manifesting? Learn how to manifest with clearer results. Tuesday Nov. 6th, 2018 call recording. Group Call 3 – Expectations and Control – Discover how you can change your sense of being out of control. Learn how to let go of control and what that means for those around you. More importantly is the understanding where you are being controlling. Wednesday Nov. 7th, 2018 call recording. Powerful Call recordings of Package B Series 1 Live Group Calls with Sandra. As we find ways to heal ourselves, we also affect those who come after us and those who came before us. An ailment you suffer with may be the result of being carried down through the familial lines. For instance I suffered with Plantar fasciitis. My dad also had issues with his feet. When I went back through the lineage I discovered where it started and performed a healing. My feet rarely cause me problems and if they do it is for some other reason now rather than Plantar fasciitis. A powerful ancestral healing will occur during this call. Friday Nov. 9th call recording. Regardless of your beliefs or another’s, negative energies are around in some form and it is amazing how straight forward and simple it can be to clear them. There is an incredible source of support available to us. Join me and we will walk through the process of how to do this feeling into the energy of those around who are helping for the highest outcome. We will create a Pyramid Grid around our loved ones, which will bring in positive high vibrational energy. The negative energies and entities will be purged and recycled into positive energies. Tuesday Nov. 13th 2018 call recording. Group Call 6 - Healing a Traumatic Event – During this process we will walk back in time and rewrite the energy pattern, significantly lowering the effect of this traumatic event on your physical and emotional being. Clients have experienced changes in how they drive vehicles, their ability to fly in airplanes comfortably and even no longer suffer with debilitating pain. Wednesday Nov. 14th 2018 call recording. Both the Bonuses from Package A.
Sandra wants to help you find what’s within yourself so you may enjoy your life more fully and create what you desire; whether it is a new career, developing a better relationship or so much more. She’s an intuitive medium that is able to find critical moments in time that your soul is ready to deal with, moments that are important to your soul’s development. As many of our listeners discovered, in the Transformation To Joy Community, having one to one personal time with Sandra can be truly transformational - that is why Sandra is offering this Premier Package. To make this offer even more valuable, Sandra on our call on Tuesday, October 30th, 2018 agreed to add her monthly Pineal Chakra Activation Group calls on Zoom as a special bonus. Shashi has only recently started to experience these powerful calls with Sandra. In fact, the one she attended on Monday, October 29th - the day before the Live Call - left a deep, moving and profound impression on her. So much so that she would like everyone in the Transformation To Joy Community to have access to these very sepcial calls with Sandra and she asked Sandra if she would offer these as a bonus to her Premier Package. We are delighted to say Sandra agreed. Thank you Sandra. Special Bonus: Lifetime Access to Sandra's very Special Pineal Chakra Activation Group Calls on Zoom with Sandra (includes the recording for your first call. you On Future calls you can attend Live but the recording will be available for you to purchase for a low $10.00 USD). Sandra started these calls a year ago and many people have experienced profound shifts. You can also invite your Higher Self to these future calls if you are unable to attend in person and also the Higher Self of your significant others. Sandra's monthly Pineal Chakra Activation call details will follow from Sandra, when you get Sandra's Premier Special Offer. "An incredible area between the Third Eye and the Crown Chakras. It acts like a filter system for the Third Eye. Over the centuries mankind has lost the use of the pineal chakra and for many it has calcified. I have been working with the pineal chakra and discovering its uniqueness in both humans and animals. The results of this activation in animals is amazing. People are human. We learned to tie our shoelaces and we are learning how much more there is out there. This is cutting edge and will bring into sharper focus your ability to "see", "hear" and "feel"." About Kathy's Soul Reading with Sandra Pelley – March 9th 2018: “I love this. My heart feels wide open (as Sandra described how I embodied one of the animals as a true totem of that animal). This is probably the most powerful experience of my life. I wish I could express in words all that I am experiencing. It’s like WOW!” I feel like like light bulbs are going on over and over. My whole body feels different. I am comfortable. I no longer feel “Stuck”. I am no longer on the infamous “hamster wheel of life”. Sandra pulled these exact words and phrases from the recording of our session. but I would like to share a bit more now that a few days have passed since that time. You can hear on this same recording a giggle and a childlike excitement as Sandra tells me that I actually stepped into the power of the animal that she pulled for my heart chakra...the Raccoon . As she spoke, I was visualizing the family of raccoons that she told me she witnessed playing in a park in Vancouver, I could feel myself taking on the body, spirit and wisdom of this animal, I exclaimed, “I’ve never had an experience quite like this before. And I do mean an “experience!”. Sandra then took the opportunity to teach and offer guidance and concrete suggestions on the use of this new found power. Throughout the reading, both of us could see, feel and acknowledge growth, some simple, some profound. I had no expectations so the reading unfolded easily and joyfully! At one point, Sandra cautioned me about the use and power of thoughts , words, expression and manifestation. I was using words like “can’t”, “should have”, “I’m sorry” flagrantly! Once she pointed this out I said, “I get it...I’m going to pay close attention to the thoughts and the words I choose and eliminate some from my vocabulary”. At one point, I remarked, “Sandra, this is so cool! It is probably the most exciting day I have had in a very long time.” Sandra mentioned that she too could feel change occurring for me, as we moved through each of the Chakras. I felt a keen association with the spirit, wisdom, strength, beauty and power of each Spirit Animal. In a way, we were creating my personal “totem pole”. I was gaining strength, power and dare I say, “enthusiasm”. Throughout our conversation, I was feeling , learning , knowing and loving more of who I am. It seemed there was one giant “Ah Ha” after another. Sandra certainly has some of the most powerful visionary statements, and she brings them to life and light! Her practicality is also a key. As she shared her own stories , she guided me to a deeper understanding of my own”. I have had “soul readings” before, but Sandra’s was different. It was empowering , helpful, practical, experiential and life changing. I felt that as it unfolded, it was becoming “one with me.” I was so engaged with the experience that I often had to pause just to breathe it all in and let it settle. In previous readings, I learned much, often feeling a sense of effervescence, as the information bubbled up and offered details, information and knowledge. For me, it was a “reading” and I was listening to my story, and as the pages turned, I tried to engage with it and apply it to my life and my spiritual journey. Invariably for me, within a short time, the bubbles seemed to disappear. I recall one reading after which I felt totally devastated, certainly through no fault of the reader. I had been told was told my throat chakra and others were completely closed, that I was “out of balance”! I felt crazed by it , only because despite the clearings, I had no idea on how to keep them clear and move forward. My Soul Reading with Sandra was different! I was a participant from the onset. It was a true co-creation! Sandra skillfully involved me in each step of her process. It made me feel strong, empowered and better prepared for the next phase of my journey. The reading for me was an “experience” like no other - “So simple, so beautiful, so profound. I am still taking it all in, I am breathing it all in.” I am in awe of Sandra and her methods, wisdom and loving spirit. She has a unique way of making even a “Weasel” strong, rooted,!engaging and beautiful! I feel like I have been the recipient of so much love, care, sage wisdom and advice. Overall, I felt as if the Universe handed me an incredible gift. Before me was a present with a big shiny bow! As we unwrapped it, and opened the lid, the contents seemed to overflow. I plan to incorporate all that I received into my “presence”, my be-ing, and use all that I received in a way that allows everything to flow easily and joyfully in and through me...in the most benevolent way for myself, others and humanity. I am grateful that spirit guided me to work with Sandra! I invite you to do the same!" In the Q&A box for our March 13th Live call with Sandra ...Kathy also send this through - Sandra got dropped from the call so Shashi could not read this out ...towards the end of the call. Yes! This was also another Powerful, Powerful call with Sandra Pelley and a strong reinforcement of how Powerful an Intuitive Healer Sandra Pelley is. Sandra, I am proud to say was one of Mentoring and Coaching student on my program for New Speakers, and has been a bright, bright light in the healing and transformation she bring to all her calls and all our listeners. Sandra started the call by doing a beautiful Grounding meditation, taking us in a different direction than usual, for the support she wanted to provide to listeners who had recently purchased her Special Offer package with their various health issues. Working with the listeners lineage - when that energy first came into being - healing it at the root source. Focusing on that one person where the illness started, feeling the presence of angels as that energy lifts and see it coming directly into your Heartspace and flowing - through your Heartspace to where it is needed and how it is healing in every dimension, direction and every realm. Breathing in that change, associating it with the smell of citrus oranges - the energy adapting and that healing staying with you through all time in your lineage going forward. Recognise how that energy follows in your footsteps, feel the ripples of that. As you come back to you feel the ripples and recognise how the Lions Gate is aiding with that. Mehar described how the beautiful the journey that both took with the pyramid work Sandra had done with her on her one to one session - but that she struggled with what if they don't believe me. Sandra supported her in using her positive power and not worry about whether people believe her or not. With self-belief, we got the feeling that Mehar will do the good work she is so very capable of. The power of the healing that took place could be felt. Trudy, came on to the call to say she has enjoyed all our calls, and particularly Sandra's calls and wanted some support around relationships ending and a new one coming into her life. Sandra, took Trudy through her powerful breath work - by simply writing down and saying these 4 sentences phrase. You can do this on the Replay! As and as you say each line of the four sentences - take a deep Breath and let it go. Say the next sentence line and repeat with the Breath work. Do this whenever you need to ground and as part of your daily Self-care and Self-love! I AM LOVE! I AM LOVED! I AM LOVING! I LOVE ME! Sandra asked Trudy to connect with a happy memory and see herself standing there with a someoney she is very happy with - a Divine compatible partner - a year from now. Wearing yellowy green/turquoise green clothes. This visualization is working on the energies - Living in the Energies! On this call Sandra taught Trudy, if she did this exercise on a regular basis - Living in those Energies and just allow the energies to flow as they will. Feel into the energies, he will start to appear in her reality. It will be very intriguing how the energies will shift to bring about a positive outcome - doing it first thing in the morning and at night you can manifest your deepest heart's desires. "One wonderful thing that has happened was I started to sing! ", declared Thelma. Singing along with a Kundalini audio that is a favorite of hers” Thelma you see is a trained classical singer – she was so wound up with the training taboos that she had stopped singing! But that morning, after her call with Sandra the evening before she overcome those limitations and she just kept with it and kept going and her singing – with joy – sounded good even to her own critical mind and ears! She opened up to the possibility of healing work - her daughter had been encouraging her for years! It finally has sunk in. She said she loved 'George' – her dragon – and can feel his energies – this was something that came up in her session with Sandra. The other thing that Thelma mentioned on this live testimonial was the freedom Thelma now has to allow things to unfold and just happen. A lot of it is about allowing, as Sandra has demonstrated with our other callers on this 25th July call and all her other calls with us. So much of a real sense of freedom came in for Thelma to allow things to unfold – Living in the Energies! All of that in a mere hour and a half session with Sandra Pelley. Thelma thanked Sandra for her wonderful work, thanked Shashi for having Sandra on the show and also thanked Mehar for recommending that she come on our Live calls to listen and work with our energy healers. Here we were keeping our Divine something, something…even Shashi struggled with getting the right word to describe the synchronity that was just demonstrated of the right speaker and right audience members coming together in Divine Right Timing! But, of course, the word I (Shashi) was struggling to get was 'Appointment'. This was Thelma's and Sandra's Divine Appointment. As one of the ladies piped up...Appointment!... as I (Shashi) struggled to find that elusive word. Sandra was in tears, overcome with the feedback she had just received, and was encouraged by me (Shashi) to take her time to come back to centre and to take that feedback in. Do listen to the call and share with your friends and family - you never whose life you will be able to touch just by sharing this Replay. Sandra will be back on our show on a regular basis so do register here for call details, and if you have not registered already. We would love to welcome you to the show. I had a very enlightening session with Sandra and my mare, I came away with more insight as to what my mare is looking for from me to have a better connection. Desi very much felt the energy as when the conversation came off her she let me know...much love to you Sandra for your gifts!!! Universally, there are no mistakes. There was a reason Sandra came into my life at the time she did. I'd been struggling with some personal issues that had kept me in "stuck mode" for some time. Sandra offered me her knowledge, expertise, integrity, generosity, and passion for her work all wrapped up in a beautiful package of Light. That is what she works with. I see it and feel it when I work with her. Her gifts she shares authentically. She has been a spiritual lifeline for me. The messages she provided from my Higher Self were profound and "spot on". The tools she gave me to use work! I am no longer "stuck" and am moving positively forward in large part to Sandra's gifts. I highly recommend working with Sandra in any area of your life. You will feel the healing. Sandra was great! I got so much from my session with her since she is very intuitive and has much depth and wisdom. I find that the tools and techniques she uses to connect with higher self / soul and expand with my own gifts and life purpose. Thank you Sandra! Much love and light to all! I had a reading and it was very accurate. I had just prayed that day for something in particular and it was answered through my reading. Very spot on! Thank you again! "I have received 2 messages from my Higher Self from Sandra, months apart. Both were very accurate." " I loved it!!! I love her!! !️"
"Had the higher self reading done by Sandra Pelley. To my surprise it was really fantastic was so much spot on. I was really impressed..an so much me. Thank you for your time." "I had a higher self reading and it was spot on. I was very impressed. Thank you!" I had a higher self reading with Sandra can't wait to see what happens. Thank you. Hello. I had to tell you this. I voluntarily take care of an elderly neighbor and her senile, little blind and little def dog. He is 14 and just ok. I practiced what you told me today, after I fed him. He was playing like a 5 Year old dog. Tug of war, he was tough. Lol. I have never seen him play with gusto before. I was great. His 84 Year old mom , who also had a touch of dementia was laughing and smiling and was sooo happy. Thank You Cupcake for being you and sharing your gift with me so I can help the critters. Lol. And Thank you for an amazing experience. I loved it and feel a clear connection to the pineal chakra. The tingling around my head was quite something and what moved me very much was that my heart chakra started to vibrate repeatedly and seemed to build a connection or opened up a next pathway. Mind blowing experience wow so amazing I was wishing for the recording n Angels n you gifted us how blessed are we all so humbled. Sandra is phenomenal! Her intuition, kindness and sensitivity are such a gift! I feel so thankful for her life-giving words! I felt encouraged, inspired, and hopeful after our session! A regular Guest Speaker on Transformation To Joy with Shashi Langham, Sandra Pelley has been fully immersed in her spiritual path for the past two decades. In 2015 Sandra stepped more fully into her soul’s purpose. Sandra's powerful soul readings are a must for our listeners and truly transformational. Sandra has worked with healing the triggers of the pain body and has become the author of her first book, A Spiritual How-To which she offered our listeners as a free gift as part of her Special Offer here . She teaches the power of breath and the strength of our words. Sandra’s ability to read your energy, your soul’s energy, brings about healing and closure on a physical, emotional and spiritual level. Sandra's special gift is the space she holds for you to Unblock the Greatest Expression of Your Soul to Live Your Life Fully Empowered, Energized and Ready to Greet the World! Through various methods, helping people has been her goal for her entire life. In the early 2000’s she suffered a life changing injury, that took 10 years to truly recover from. During this time, Sandra was directed towards a non-traditional way to begin healing and her Soul’s Purpose began. Sandra facilitates true healing on four levels, PEMS (physical, emotional, mental and spiritual). This leads the individual on a path towards a healthier life, happier and a more soul aligned life. Sandra has the unique skill of reading people and animals by releasing fears, past and present, that manifest as Dis~Ease in the body and affect our adulthood. Through a variety of extraordinary sessions, Sandra can help you discover past lives, aid you in realizing your soul’s purpose and teach you about the importance of breath. She can help bring closure and healing with the loss of a loved one. These are just a few examples. Every session is unique to each soul and amazing things can transpire with so many possibilities. Sandra had a large shift in consciousness. Because of this, she chose to open her heart to all the possibilities, to be all that she can be as a facilitator and teacher. Sandra teaches how to let go of our expectations, about Accepting, Trusting and Believing. She walks you through how to ground your self, balance your chakras, talk with your Higher Self and embrace the little you. Sandra is a shamanic practitioner as well. Her ability to draw out what is needed, at a time that you are ready for it, leads to a new path of possibilities for each animal and person she works with.